Mrs. Linda Pinion Mason, age 72 passed away peacefully Wednesday, October 31, 2018. The family will receive friends from 10 to 11 am Saturday, November 3 at Wilkinson Funeral Home. A graveside service will follow at 11:15 am at Cabarrus Memorial Gardens with Rev. Terry L. Smith officiating. Linda was born in Mecklenburg County, a daughter of the late Robert Lee Pinion and Velma Eudy Pinion. She was also preceded in death by her husband, Vance F. Mason; 1 brother and 2 sisters. Survivors include her daughter, Sharon Medlin and husband, Danny; grandchildren, Heather Barrier and husband, Josh, and Gene Medlin; sisters, Shirley Melton and husband, Harold and Cora Kimball; brothers, Jerry Pinion and wife, Ginger and Ralph Pinion; numerous nieces, nephews and other relatives and friends. In lieu of flowers, memorials may be made to the Humane Society of Concord and Greater Cabarrus County, 2010 Wilshire Court SW, Concord, NC 28025 or to Hospice of Stanly and The Uwharrie, 960 N. 1st Street, Albemarle, NC 28001. 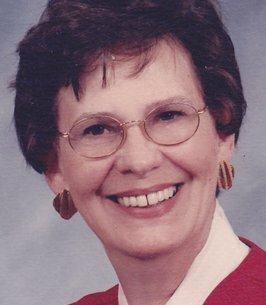 To send flowers to the family of Linda Pinion Mason, please visit our Heartfelt Sympathies Store. To the Family and Friends of Linda: Our thoughts and prayers are with you. May precious memories of Linda comfort you now and always. Linda was such a kind, caring, loving, Christian woman. We will certainly miss her.